No one is impervious to the past. 007 James Bond’s (Daniel Craig) most recent (unsanctioned) mission takes him to Mexico City, where he’s after someone who an old friend wants terminated. Though the mission is successful, the new M (Ralph Fiennes), isn’t all too happy with Bond acting on his own, and promptly suspends him. 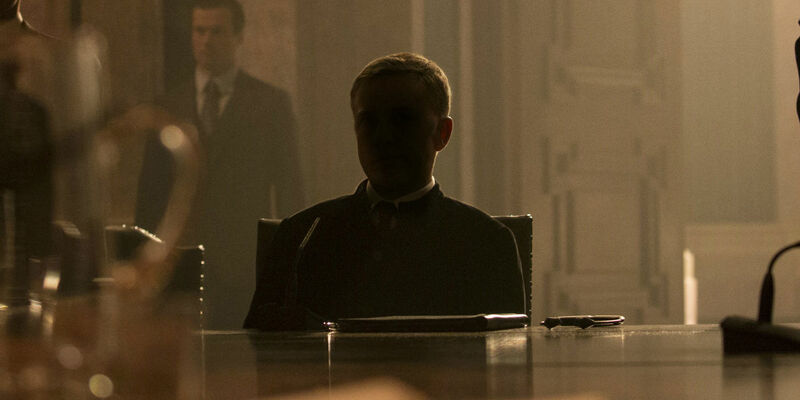 Not that it matters for James, though, as Mexico City is just the beginning of a long trail that leads to the criminal organization known as SPECTRE, seemingly headed by an individual known only as Franz Oberhauser (Christoph Waltz). He’s an individual who seems to know too much about Bond, as well as the crumbling of the 007 program. As James goes deeper down the rabbit hole, past people both known and unknown come out of the shadows, proving that the dead are alive and may be pulling more strings than could ever be imagined. Full disclosure here. Yours truly is not up to speed on all things Bond. Sure, I’ve seen the most recent ones (except for Quantum of Solace, but from the sounds of it, not missing a thing there), and some of past ones here and there, but my Bond knowledge is probably a four at best. I say this because I look at Spectre with relatively virgin eyes, in that little is known on my end about its main baddie, the previous incarnations of Spectre, etc. Much of the symbolism, connections, and Easter Eggs are lost on me, so I just look at Spectre on its own, more or less. It’s a good, even great time with notable highs, but surprising missteps as well. Usually a bad news first type of guy, but starting with the good this time. Spectre looks awesome. Whether in the shadows, on the snow-capped mountains, or smack dab in the middle of a Day of the Dead festival, director San Mendes builds upon the gorgeousness featured in Skyfall, even without the assistance of the legendary Roger Deakins helming the cinematography. A shot at the beginning of the movie in particular with Bond just calmly walking on the edge of a tall building stands out as one of the best of the year. As action goes, Spectre is one of the better films of the year. No shortcuts appear to have been taken, and from a budget ranging between 250 and 300 million, there better not be. Sure, there is some occasional shakiness in the action proceedings, and a moment near the end that feels better served in the Fast & Furious universe instead of 007’s. But, it’s easy to follow, memorable, and falls in line with the most recent darker Bond iterations. 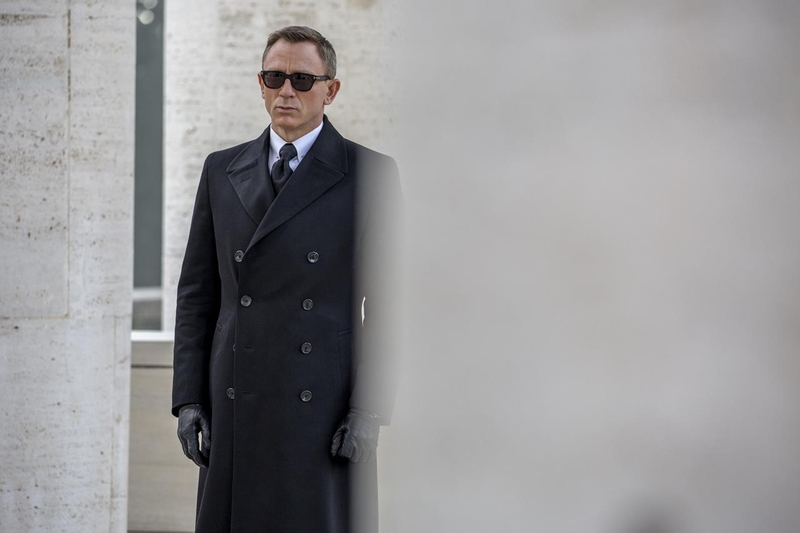 Save for an underwhelming theme song written by Sam Smith (it’s fine after more listens, but the visuals and the lyrics just didn’t fit together), the first half, maybe even two thirds of Spectre are of high quality, featuring excellent pacing, well-timed humor, a superb score, and legitimate mystery. But, a point comes along where many of the plot reveals, connections, and motivations are, at best, mediocre, and at worst, dull. The over two and a half hour runtime truly begins to be felt in the last 30-40 minutes, where both storylines assimilate into one as this 007 entry ends up using similar staples found in past Bond movies and other spy movies. For a franchise that is 24 movies deep, it could be unfair in coming down too hard on Spectre for leaning on old ingredients, but the first chunk of the movie is so damn great that the final act just doesn’t cash in on the intrigue and mystery that was so wonderfully set up. It’s hard to find much fault in Daniel Craig’s portrayal of Bond. He’s tough enough to be believable in a fistfight, yet smooth and debonair enough to be God’s gift to women. Some have called it a phoned in performance, but I look at it more of a guy who just knows the role inside and out, to the point where it may look like he’s phoning it in. Even if he is, Bond feels more like a role in which someone just has it, or they don’t, and Craig has it. His MI6 colleagues aren’t too bad either, though, as Ralph Fiennes, Naomie Harris, and Ben Whishaw reprise these roles as M, Moneypenny, and Q, respectively. Some of the other aspects of the typical Bond film do not come together as nicely as they do in other Bonds. Sadly, Christoph Waltz ends up being a disappointment in his appearance as the foil. He does a good job, but is hampered by shoddy writing and motivation, and all mystique is taken away from him in one fell swoop. “The author of all your pain,” is a line that sounds better in a trailer than it does in the feature. The better villain might actually be Dave Bautista as foil 1A, possibly because he doesn’t have to worry about explaining himself through painful backstory. Léa Seadoux is absolutely stunning in the latest Bond girl role, and is a pretty good character. But, like some of the rest of the story missteps, the romance between she and James is really hotshotted, and doesn’t feel organic at all. 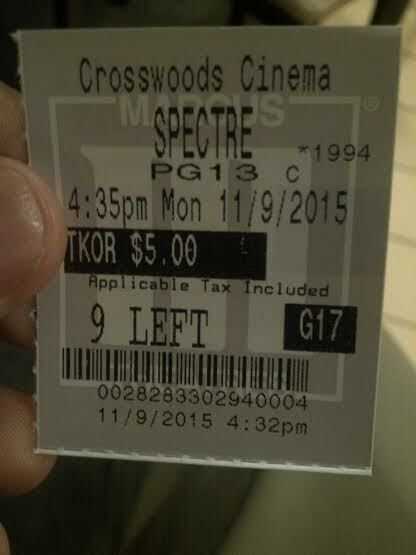 Shaken, but in need of a stir in spots, Spectre is still a solid entry into the series. It’s hard not to fall for the fun that Bond. James Bond, brings to the table. Photo credits go to screenrant.com, comingsoon.net, and awn.com. Good review Jackson. A fine Bond movie. Although, not an amazing one. Completely agree, Dan. Wouldn’t mind watching again, though. Thanks for stopping by. wonderful review as always.. agree on pretty much everything..except I gave it a C+. Yes Daniel Craig is still solid, but my man James did disappoint me in this one some.. just exactly how you say why too.. You’re only as good as your villains..and Bond usually hits that part out of the park.. missed it here in a big way. I like the recent Bonds, and I found this one entertaining. Just lost some steam in the final act. Great review mate! I’m gonna wait a while to see this, it doesn’t sound like I’m missing much from what I’ve read. And I am the same as you, I haven’t seen many Bond films at all. Thanks Jordan! I do think it is a fun watch enhanced in theaters, but amazing? Not really, but I can see myself watching again. The Daniel Craig Bond films are quite strong as a whole. This was a fine, but not spectacular, addition to series. I can totally see myself watching it again, but the emotional pull isn’t there like it was in Casino Royale and Skyfall, for sure. Good review, I really enjoyed this entry into the Bond franchise. It was entertaining! Better as an overall film than Spectre and Casino Royale? Me thinks not (almost impossible to not compare series entries to each other), but as an action film? I’d watch again. I’m in agreement with you, it was entertaining to say the least.